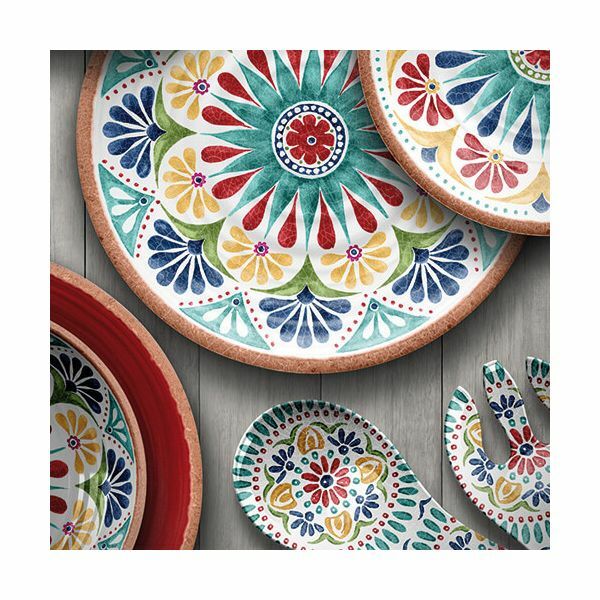 The Rio Medallion collection from Epicurean combines the look of rustic terracotta with vibrant South American colours and patterns. Made from melamine it is both lightweight and shatterproof making it ideal for alfresco dining, picnics etc. 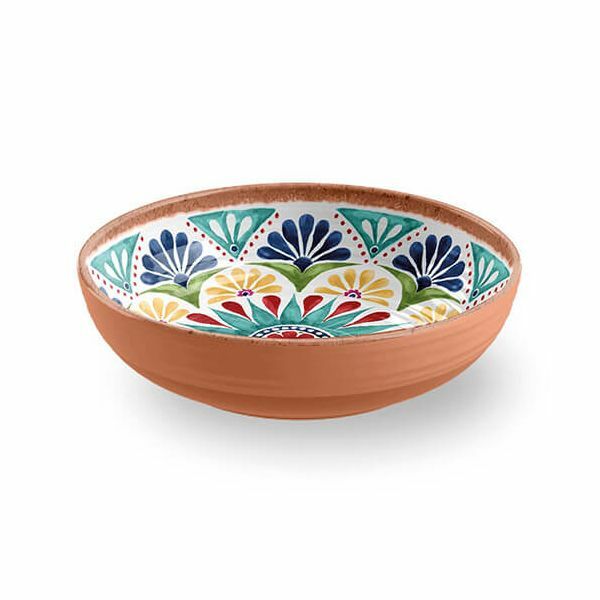 This low serving bowl has a 20cm diameter and is 5.5cm deep.